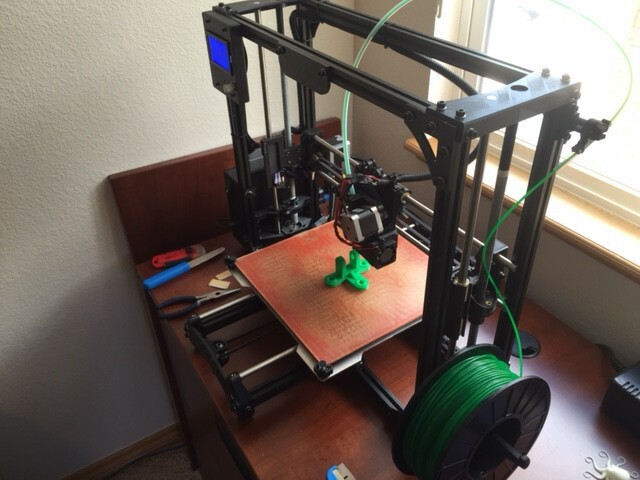 A few weeks ago I finally purchased a 3D printer – a Lulzbot Taz 5. In the past, I’d played with a Makerbot, and looked at a few others, but I really liked the Taz 5 – it is a bit more expensive than some of the others out there (about $2200) but is more industrial. I’ve done a few prints that have taken 20+ hours with no problems, plus it has a print size of 11.7″ x 10.8″ x 9.8″ which is huge! The Taz 5 also has a heated glass bed so you don’t have to muck about with fragile tape surfaces. Another advantage (for me) is that Lulzbot is based in Loveland, Colorado, which is only a couple of hours drive away. Rather than ordering the Taz 5 from Amazon, I just drove up there, and got a tour of the facilities. It was very cool seeing a room full of 3D printers printing out more 3D printers (I believe they are working on Skynet next). 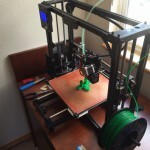 Lulzbot is also dedicated to Open Source, so they use Open Source software, Open Source hardware designs, etc. 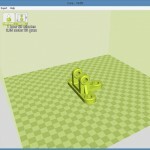 There is also a LulzBot Mini which is considerably cheaper. My one complaint so far is that I wish that the Taz 5 was self-leveling like the Mini – I’ve had to tweak alignment a few times and it is a little fiddly. I think that they are planning on adding that, and I’m hoping that I will be able to upgrade. As a software engineer, I am used to being able to make a computer do anything I like – but it is all virtual. There is something truly magical in being able to design things and have them come into existence in the real world. There are a number of different ways of creating models, but I’ve mostly been focusing on learning and using FreeCAD. 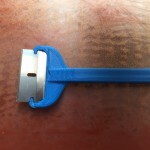 This is an open source parametric CAD package. It is not entirely intuitive to use, but I went through a series of YouTube tutorials that did a good job getting me up and running. 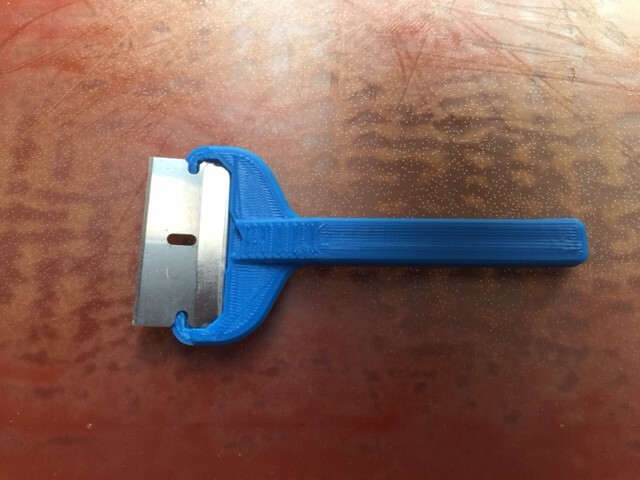 So far I’ve been using Cura for my slicing and printing tool, and it does a pretty nice job. 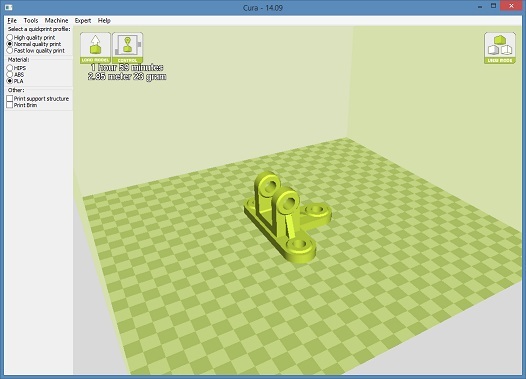 You can easily scale models and add additional models to print at the same time. I’ve mostly been staying in QuickPrint mode, but will probably start experimenting with expert mode soon. I’m hoping that it will give me more control over support structure printing (which is evil), although it sounds like I might have to look at different slicing engines if I want really fine control.